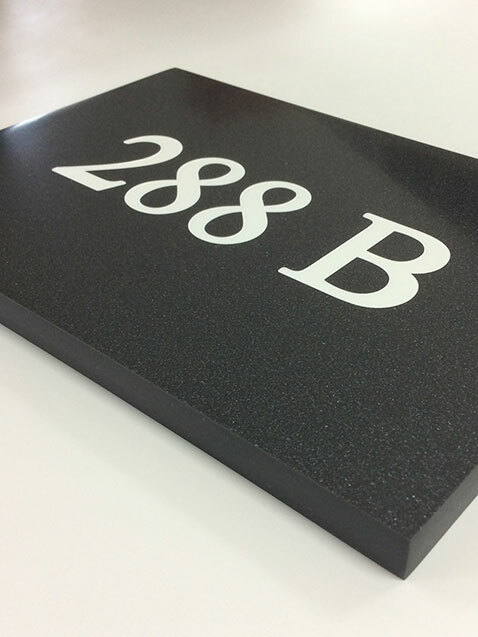 Corian Plaques provide a beautiful, contemporary alternative to traditional plaques and are perfect for house number signs. We have extremely fast turnaround times here at Andrews Signs. Yet, you can trust your corian plaque design to our in-house design team who will cater to your requirements. 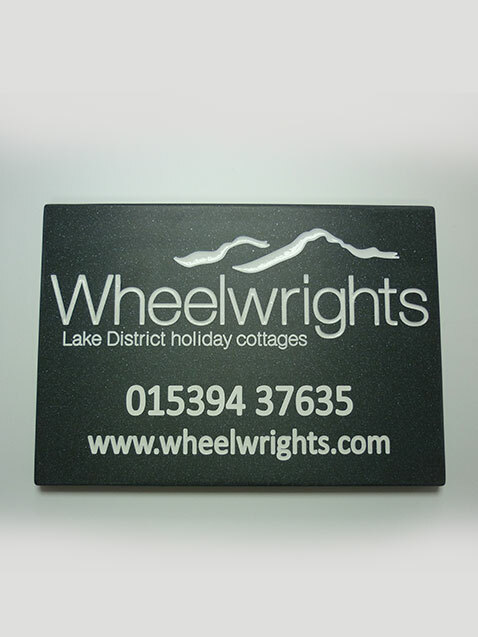 Digital proofs are supplied of the plaque before it is engraved to ensure absolute customer satisfaction. Corian is a hard-wearing material. It is made from acrylic resin and natural minerals. Yet, consequently, has the look and feel of real stone and marble. Corian is also provided in an extensive range of colours. Then, infilled with enamel paint – subsequently giving the effect of marble. 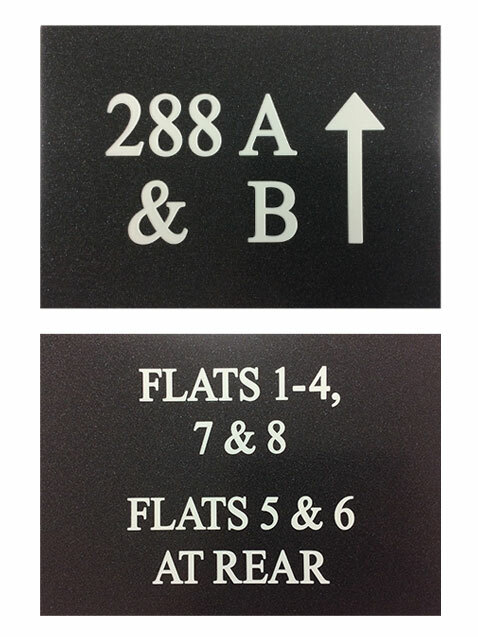 It is ideal for house number signs! Delivery is made UK wide, so call us to discuss your requirements 01904 658322.